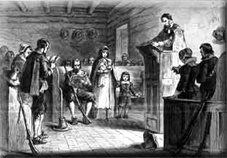 Although most of the settlers in the New England region were religious dissidents this did not mean that they had to get alone with one another. There were many disagreements over points of religious principle or interpretation of the bible or just individual differences. Rhode Island was created as a byproduct of these kinds of differences. In 1635 Roger Williams was driven from Salem, Massachusetts for espousing religious and political freedom. After spending the winter with the Indians he finally bought land from the Narragansett Indians and settled in what is now called Providence. The new colony attracted others who could not agree with the religious temperaments of those from Massachusetts or elsewhere in New England. 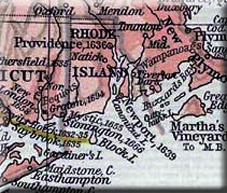 Similarly, in 1638, Anne Hutchinson, having been banned from Massachusetts, helped found Portsmouth, Rhode Island. 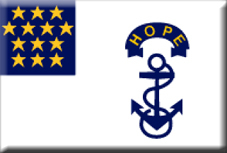 A New England Colony, Rhode Island was established as a Corporate colony and received a Royal "Charter of Rhode Island and Providence Plantations" in 1663. Among other unique guarantees, the Charter established complete religious freedom in Rhode Island, which was unusual at the time, and later formed the basis for similar provisions in the U.S. Constitution. 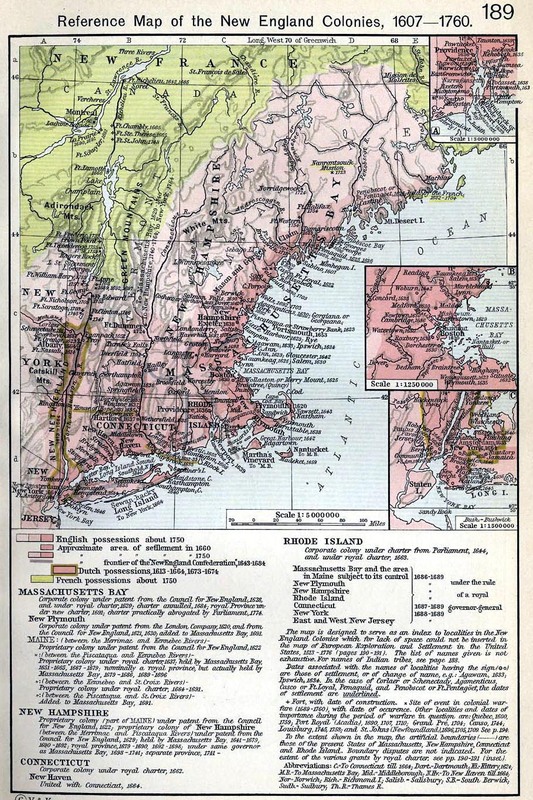 Although Rhode Island was one of the first colonies to embrace autonomy from the British and espouse Revolutionary ideals, it was the last of the 13 colonies to ratify the Federal Constitution and became a State in 1790.